Multiple organizations from campus and the community come to educate our campers on "real-life" skills and career pathways. This year, Purdue’s Forestry Department conducted a station about clean water, birds, fish, trees, and conservation. PEFCU conducted 6 days of financial literacy curriculum. 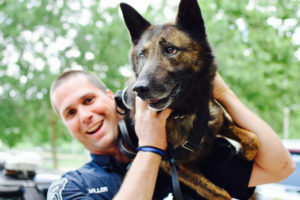 The West Lafayette Police Department’s K-9 unit brought their dogs to help the campers become comfortable with our police department and learn what the dogs do for them. Freckles created t-shirts for the campers and made them during this station for each camper. Our Purdue Football Team also organized a “Football Clinic” for our campers which was originally created by Drew Brees of the New Orleans Saints. The Computer station had previously been focused on educating the students about PowerPoint, Microsoft, and other computer basics. 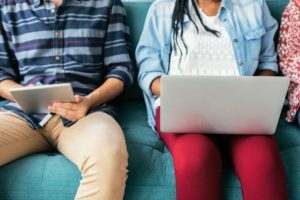 During the past year, it has transformed into a station where the kids learn about programming and other skills that would apply to a computer-related vocation. The kids get to participate in a myriad of activities, depending on the year and the instructor. The art instructors almost always incorporate an art project that revolves around the Four Pillars: Respect, Responsibility, Courage, and Caring, as well as a project that teams can work on together. Kids get to express themselves and learn something new! The most popular art activities of the past few years have been tye-dying and friendship bracelets. This station has also continued to transform over the years. It incorporates something new each year and includes songs and dances that the kids know. Choreography to several dances is taught to the campers. 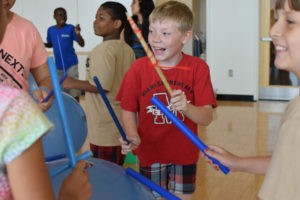 This year, rhythm sticks and buckets were used as instruments. PALS campers will learn to solve problems like engineers at this station. 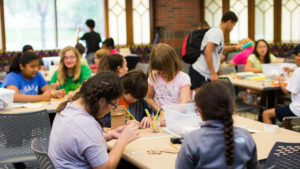 They will identify various problems that are relevant to their lives and interests, and then use a variety of tools (including 3D printers and laser cutters) and materials to develop and share their ideas as prototypes. The goal of the station is to present the breadth of engineering and help students make connections between engineering and their personal interests. This station provides campers with upper body development. The “sh” stands for shoulders, the “ar” stands for arms, the “ba” stand for back, and the “de” stands for development. After a few days of learning how to navigate the Sharbade, the campers have organized games. This station is based on honor and respect of both the sport and one's opponent. Campers bow to enter the mat, bow to leave the mat, bow to the instructor, and bow to their opponent. 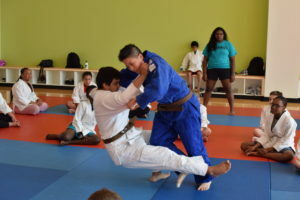 Judo is not about winning or losing, but winning or learning. As campers get better they are helping opponents get better, too. 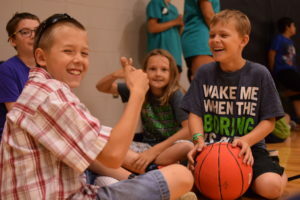 Lessons are taught to each camper while encouraging safety in each of these sports. Guest speakers have come to our camp to give inspiring discussions on their lives. 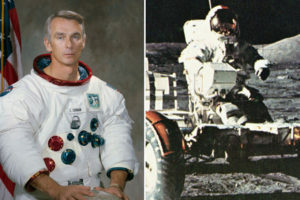 Past speakers have included astronauts Gene Cernan and Jerry Roberts. This past year Grace and Ricardo Allen of the Atlanta Falcons along with Ryan Russell from the Tampa Bay Buccaneers came to camp. Grace led the camp when she was a student at Purdue. Ricardo and Ryan spoke about their lives and how important camps like PALS were to each of them growing up. This institution is an equal opportunity provider. Read the full PALS USDA nondiscrimination statement.